LEGO aficionados will appreciate the skill and craftsmanship behind French designer Baptiste Tavitian‘s handcrafted LEGO minifigures, made from oak wood. The smooth, meticulously shaped minifigures are made using the original LEGO minifigure design — and they feature a gorgeous wood grain aesthetic. They’re also quite a bit more elegant (yet perhaps a little more emotionless) than their plastic counterparts. Impressively, the pieces, such as the head and the hand claws, attach on the same way as the original version, displaying accurate attention to design detail. The figures are not currently for sale, but they have been crafted in several sizes, including an oversized “mini figure” that is actually over two and a half feet tall! Tavitian, founder of BT Manufacture, must have a playful heart or kids at home: he also sells LEGO brick lights as well. 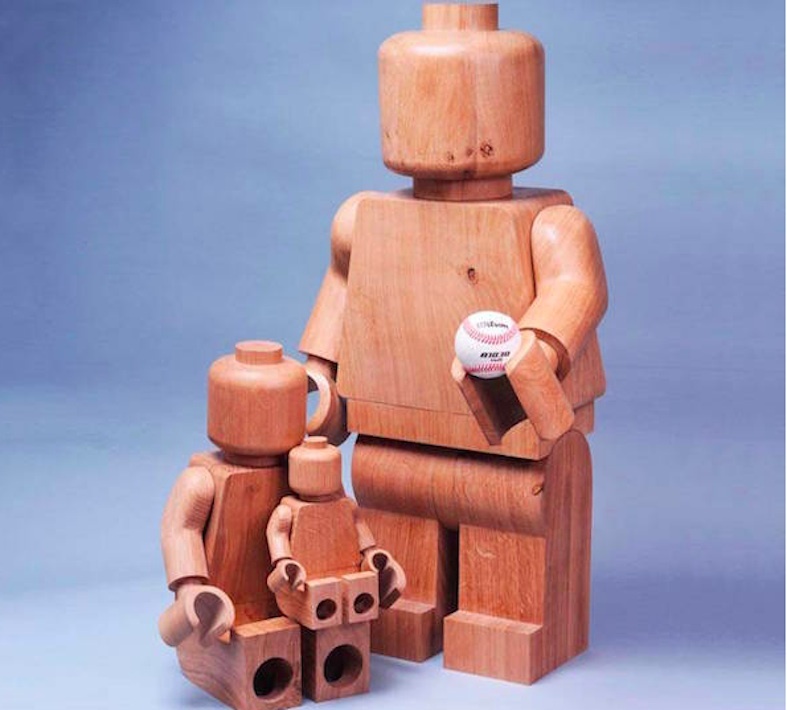 LEGO aficionados will appreciate the skill and craftsmanship behind French designer Baptiste Tavitian's handcrafted LEGO minifigures, made from oak wood. The smooth, meticulously shaped minifigures�are made using the original LEGO minifigure design -- and they feature a gorgeous wood grain aesthetic. They're also quite a bit more elegant (yet perhaps a little more emotionless) than�their plastic counterparts. Impressively, the pieces, such as the head and the hand claws, attach on the same way as the original version, displaying accurate attention to design detail. The figures are not currently for sale, but they have been crafted in several sizes, including an oversized "mini figure" that is actually over two and a half feet tall! Tavitian, founder of BT Manufacture, must have a playful heart or kids at home: he also sells LEGO brick lights as well.